Working on branding yourself isn’t easy. The world is way too busy. Every day there is barrage of new information available. It�s overwhelming how much information is available for almost any subject. It�s not just a matter of separating the good from the bad, there is so much good information that you even have to pick from that since you can�t take in everything. Given all that, it�s challenging to make what I write stand out and be found and then have the reader think it�s worth their time to read it. If you�re trying to build your personal or professional brand by writing then you face the same challenges. You spend valuable time crafting a piece, putting your best into it, and then releasing it to the wild. Then you hope people find it and see the value. What do you need to do to be �heard� and tell the world how you can help? Making your efforts count, building the best blog or article for the buck (your time), is the goal. Tony Robbins says �Success leaves clues�. To find these answers I started looking for blogging and SEO tips from the best sources I could find. Following their advice, your efforts should show better results. When you write an article, you write for a human audience, but if you�re going to use it online, you�re also writing for the search engines. It�s going to be one article but it has to be crafted for both types of readers. If they�re going to read it, they have to find it. That�s where the search engines come into it. You have to structure your article and put in the information that the search engines need but it has to be done in a way that supports both readers without distracting either. Very few people will read an article from start to finish on first glance. They�re busy, they have a lot to choose from, and they want to spend their time reading something interesting or useful. Usually when someone sees your writing they take a quick glance and decide if they will read it within a few seconds. I hear 20 seconds all the time but I think it�s more like 10. That�s how long you have to get them invested in what you have to say. How do you get them to quickly decide the article is worth reading? The overall physical appearance of your article can help. Make the article easily scan-able and tell the reader what information you�re providing by using headings and lists as a summary of what you�ll cover. Brevity and especially clarity will help your branding by showing you can communicate effectively. The headline is crucial. It is probably the only part that everyone will read. Remember, 10 seconds to get their attention. The headline is not a minor matter. It deserves significant attention. It needs to satisfy the needs of both your readers and the search engines. Some very successful copywriters have said that you should put as much effort into writing the headline as you do writing the entire rest of the article. The headline is to grab your readers attention. It is the commercial promoting your article and it should contain a big benefit, or contain a �hook� to get their curiosity. The headline leads to the sub-headlines which leads to the first sentence which leads to the rest of the piece. Joe Sugarman referred to this a the �slippery slope of involvement�. Though based on traditional sales pages, there have been many, many documented cases where the same sales copy increased response rate by 400%, 800%, and in some cases 3000% by changing the headline. That�s basic human nature so it should apply to blogs and articles as well. The headline is the also main thing that someone will see in search engine results. Try this� Go to google and search for write killer headlines then pay attention to where your eye goes and which entries get your attention. You�ll see a page full of results. Each result shows the headline, the URL, and a brief description. Search engines are mysterious things with minds of their own, but the headline and description is one part where you have the most control. Make it count. Spend time on it and the description. It�ll be worth it. I spent a lot of time looking at the blogging suggestions of many popular boggers. In addition to what they said about blogging, I also looked at how they blogged themselves. I wanted to improve my own effectiveness and this is the template I use based on that research. People love stories. We�ve been telling stories as far back as we have history. Start off with a personal story that�s relevant to what you�ll be discussing. This helps make a connection with the reader. They learn a bit about you and we usually trust those we know more than someone we don�t. 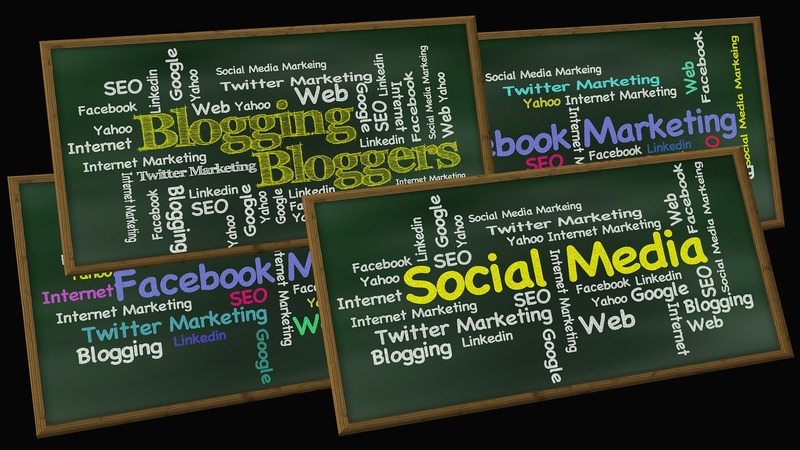 When you�re using a blog for branding, �you� are part of the article package. You�re not just providing information, you�re sharing your personal knowledge with the reader. This isn�t a one-to-many situation, this is one-on-one with many people. After you�ve told your story, turn it around and tell your reader how it can apply to them and why it�s a benefit for them to continue reading. Tell them what�s in it for them. Give the reader more information about what they should be able to get from this and what benefit will they get from their time investment. Inform, entertain, and educate. This is the meat of the matter. This is where you give them the information that will hopefully benefit them and show that you know what you�re discussing. While all the previous sections are short and quick, this portion will be whatever length it needs to be, though it should still be as concise as possible. Almost every speaking training I�ve ever taken said �Tell them what you�re going to tell them, tell them, then tell them what you told them�. The conclusion is where you summarize what they read and what they should have learned or be able to do. Many readers when first looking at an article, read the start and the end before they ever really look at the middle. Take advantage of that and show them what they�ll get. Persuasive writing, like a good sales letter or commercial, ends with a Call To Action. 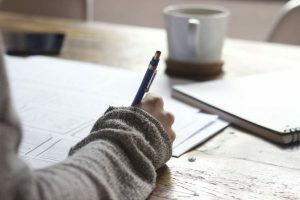 Even if you�re not trying to sell a product, encouraging the reader to use what they learned is a powerful way of making them think about how your article (and you) can benefit them. End your article with a question or a suggestion of what they should do next. Make key points a separate, short paragraph. The reader�s eye will be attracted to a single line surrounded by larger paragraphs. The end of your article is also important. Whether the reader is still scanning your article to decide if they�ll read it, or if they�ve already read everything you wrote, then end serves as a place to get your reader actively involved in using the information you provided and gain the benefit you promised. I�m not talking about social media sharing buttons. I�m talking about a direct question or action for them like �What three actions can you implement today to �?� You could even suggest that they share those in the comment section. Get them to think about how this is relevant to them and what benefit they�ll gain. How do you satisfy the other type of reader, the search engines? If you use WordPress as your blogging platform there are many very good SEO plugings. I use the Yoast SEO plugin for WordPress. It�s great. It helps with the general setup of your blog and also the individual posts. No matter what your blogging platform is, what needs to be done still remains, just the mechanism changes. At the overall site/meta level, you want to control how your headline looks in the URL and the search engines. One vital feature is making sure about the ordering of the contents of the headline. Another feature is that little block of descriptive text that shows in the result page. Instead of having the search engine use the first sentence of the article, you can explicitly override that to give a better description. With many of the plugins, while you�re filling in that information you can actually what the result will show. That is a very neat and powerful feature. The headline should also include the main key words of the article. What question would someone ask a search engine that your article could answer? Use that in the headline if possible. Your headline should be <H1> and it is the only thing on the page that is an <H1>. Don�t confuse the search engines, make it clear what is the headline. Use <H2> for the sub-heads. This will make them more visible to your human readers but doesn�t seem to have any major effect on the search engines, either positive or negative. How to help your reader take advantage of this for their benefit. What you write needs to serve two purposes, help the reader improve their situation, and to promote you as a resource for your reader. What can you take advantage of to make your writing more valuable to your readers? What other tips can you share to help other readers? Let us know in the comments!